When it comes to rats, it is always a good idea to prevent them from entering your garden in the first place rather than to look for a solution later. If you pay attention to the following you should have success in preventing rats from getting into your garden. First thing you should do is to remove food sources. Rats are on the look out for food all the time so if you want to prevent them from coming, make sure that your food leftovers are properly stored in sealed bags. Rubbish should always be kept in strongly closed bins. Have in mind that thrive in areas that are filled with lots of rubbish, so be careful with the waste from your household. Bird feeders are also very attractive spots for rats When building or buying bird feeders, make or pick one that will keep the bird food well contained, and that will not allow food spillages directly in the garden. If you notice mice or rats that eat something bellow the bird feeders, then stop leaving food in the bird feeders for some time in order for the rats to leave. Keep your garden and environment around your house clean and tidy at all times. Dirty places attract rats in large numbers as they seek for food and shelter. Move all unnecessary garden furniture or tools away from the garden, so the rats will not have a place to hide. In order to check whether rats have invaded your garden, look for the following signs – diggings and holes in the ground, different types of noises, droppings, etc. 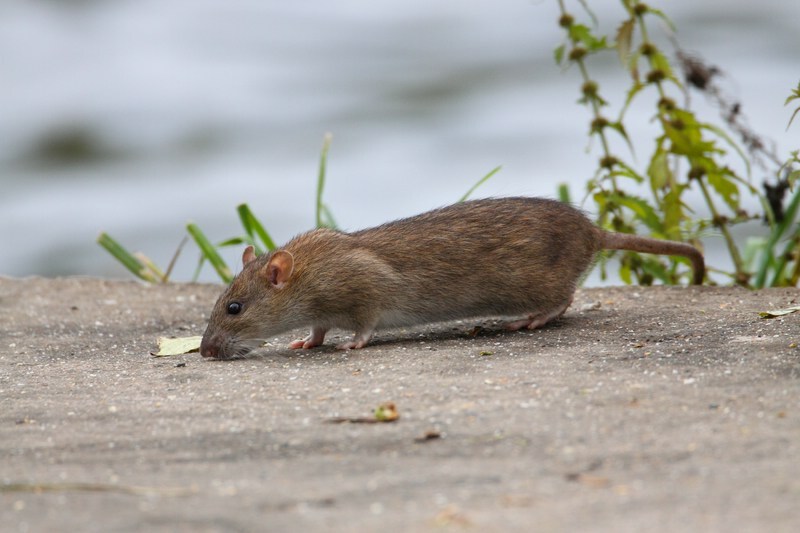 There are lots of products available for dealing with rats including some pesticides, but if the problem persists then the best thing to do is to hire a professional pest control service that will take care of them. For more advice about rat control, please contact us now.